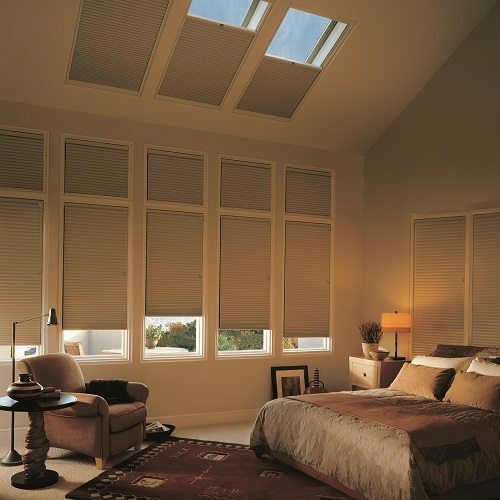 Skylights are an excellent source of natural light. Trapping air in their honeycomb core pockets, they are an especially popular skylight treatment due to their sound insulating and energy saving benefits. 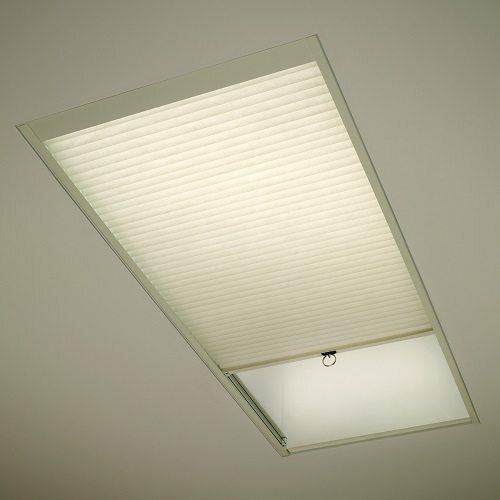 Cellular skylight shades can be remotely controlled or manually operated with an expansion pole. 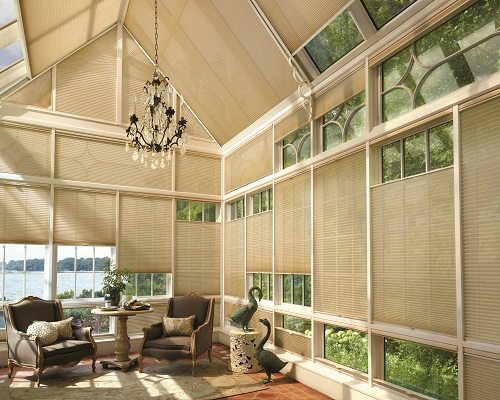 Shades By Design’s cellular honeycomb skylight shades come in numerous fabrics and brilliant colors, both light filtering and blackout. 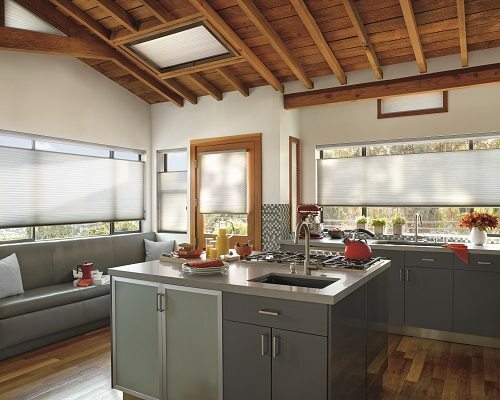 If your skylight window happens to be in a living room, washroom or any other room of your home where light is needed, then the use of light filtering fabric is highly recommended.